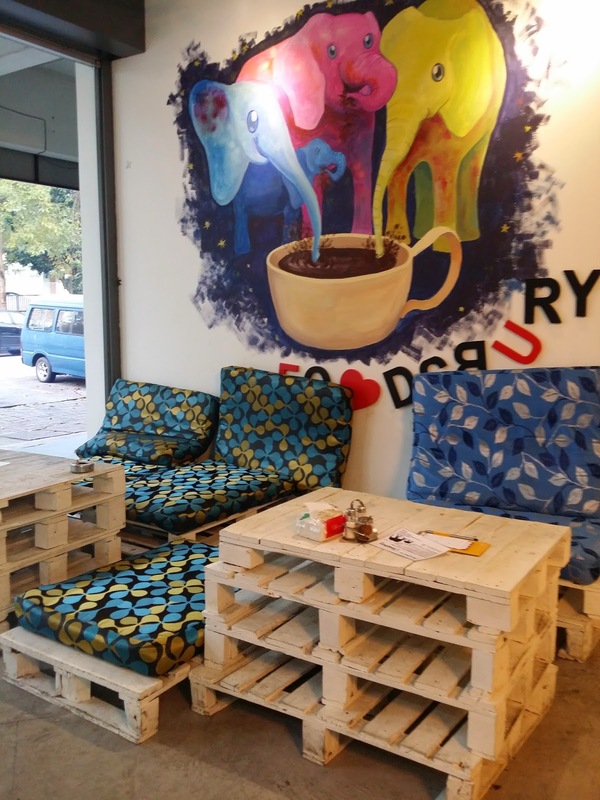 Here's the second stop of my Cafe Hopping Series. To those of you who are here for the first time, Welcome to my Cafe Hopping Series! I'm not a professional food critic but I hope my two cents worth opinion comes in handy! 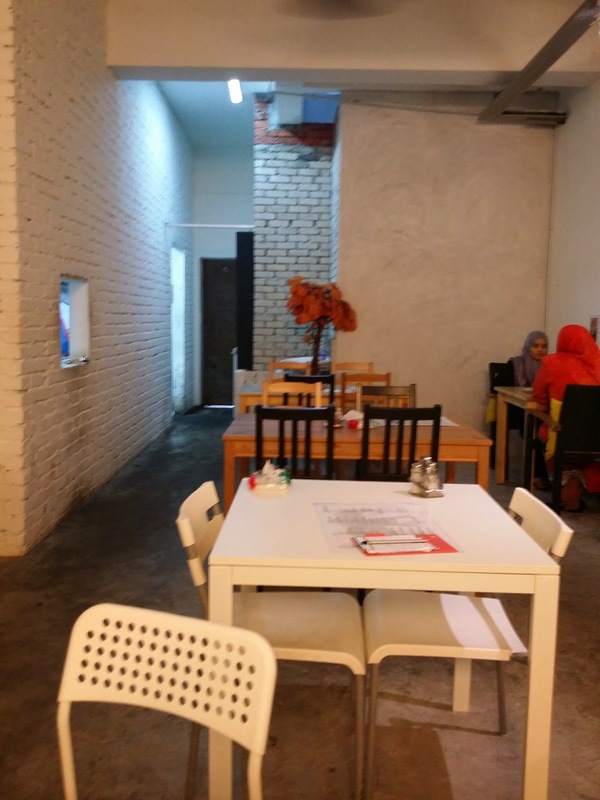 So this time around , I'll be reviewing another cool cafe that I've been to quite a few times in Shah Alam. Plus, This is what work does to you. After a long and stressful day, a place with good food and drinks are much needed! 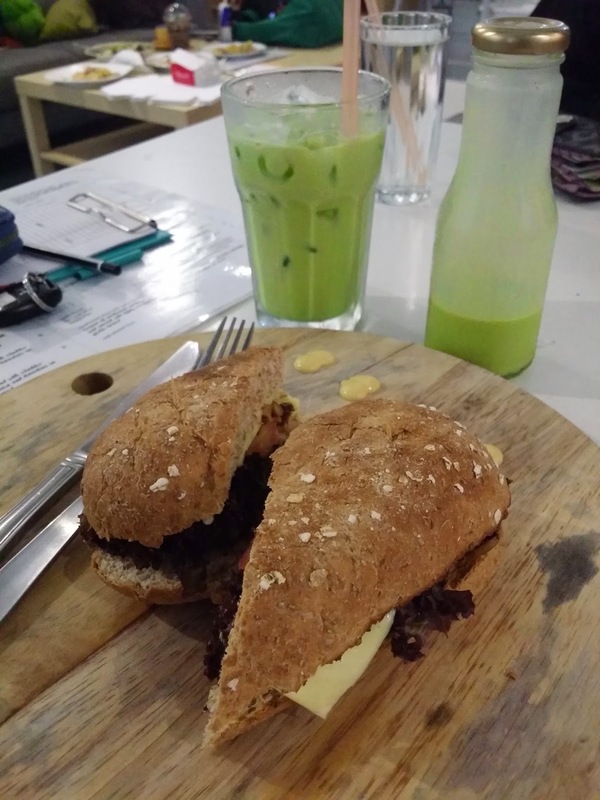 I'm grateful that although I don't hang out much in Shah Alam but there are awesome cafes to chill and relax. 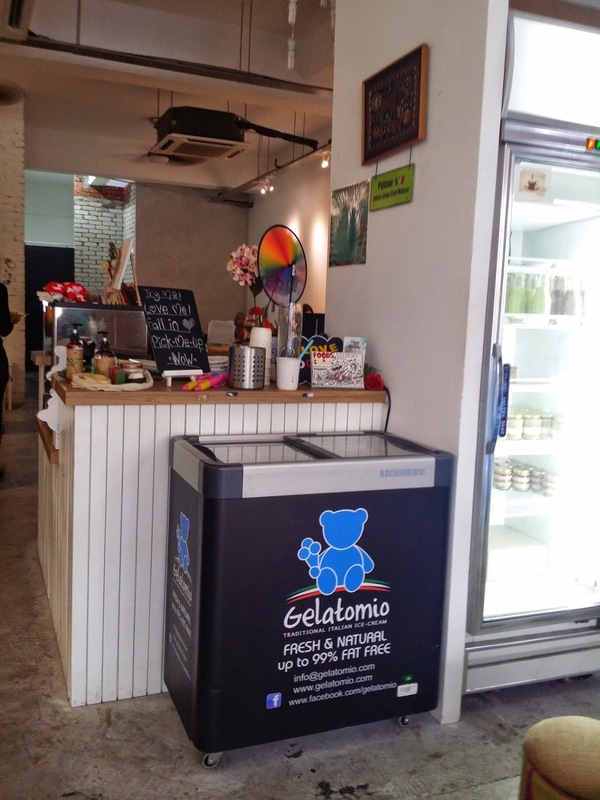 Located in the heart of Shah Alam, you can spot this in the middle of a row of shops . It's a little hidden if you are not familiar with this place but it's one worth searching for. I can only thank my colleague Nini for introducing this place to me because I love it. 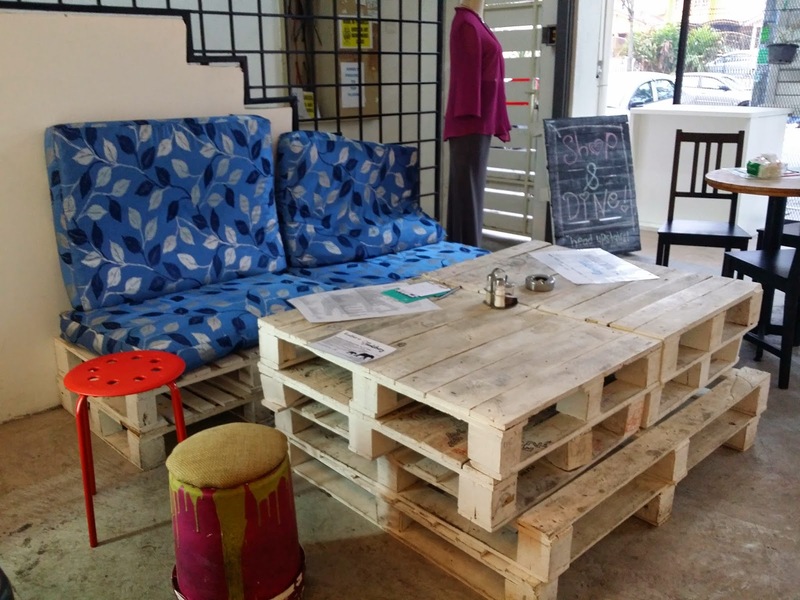 Although, I would not also consider this to be a hipster cafe because of how cute this cafe looks. 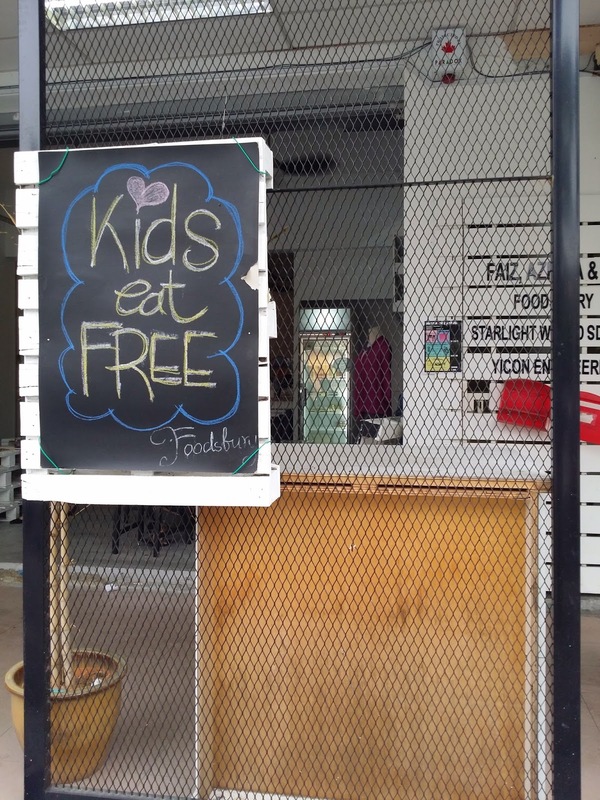 Kids eat for FREE! How cool is that! Bring your kids , they'll love it. I say this because , they have books for you to read, games for you to play with, and little activities to keep everyone occupied . Well, isn't that much better than being glued to technology? Don't belive me? Scroll down to read more! 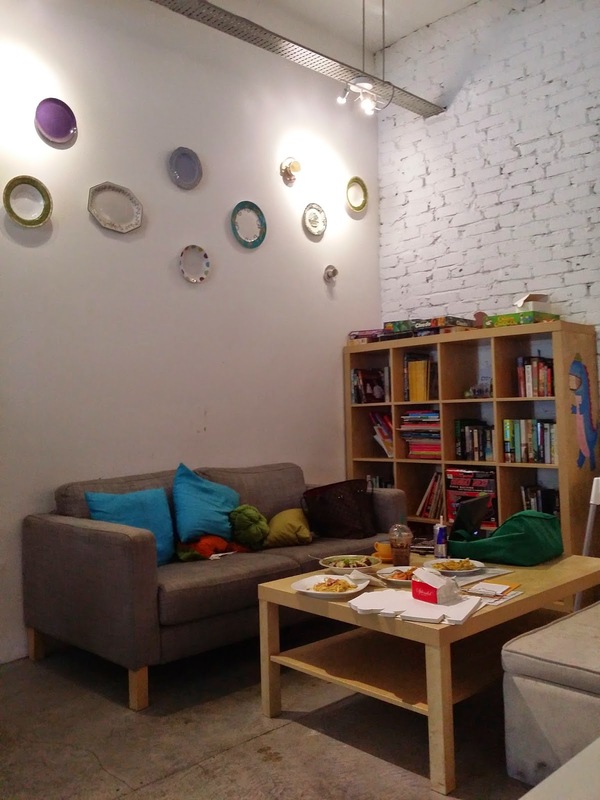 With a warm and comfortable place to relax and chill, one could only hope that the food is as good as the place is right? Boy, I will tell you that the food here is good. 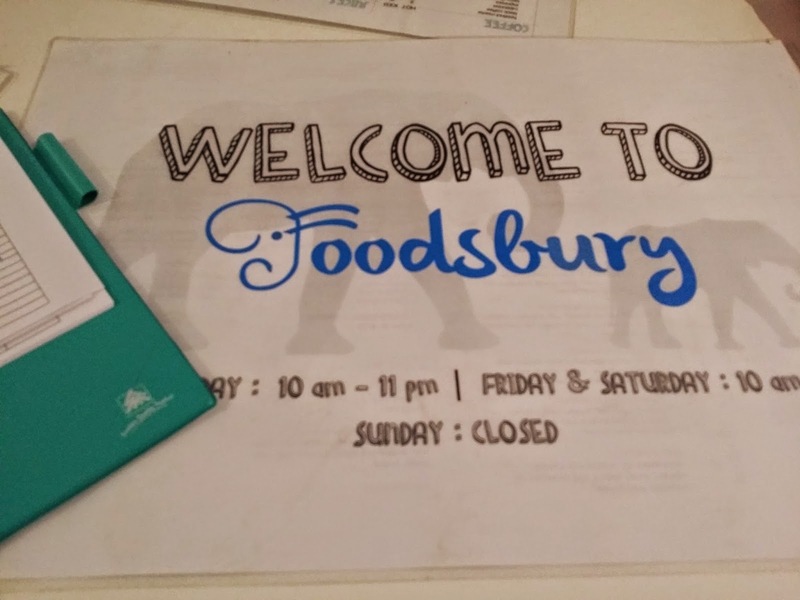 Foodsbury serves a variety of western food and light meals that will satisfy your taste-buds! The price here I would say is reasonable. 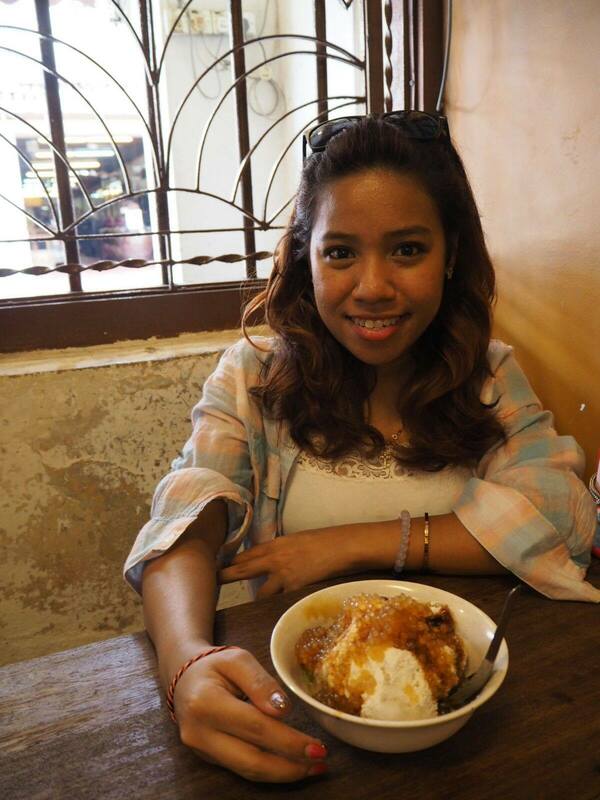 The food prices in Cafes nowadays are pretty standard & the price isn't much of an issue. Hence, the food and the environment would be the one that matters. Wouldn't you agree? Now, shall we take a look at some of the dishes they serve here? 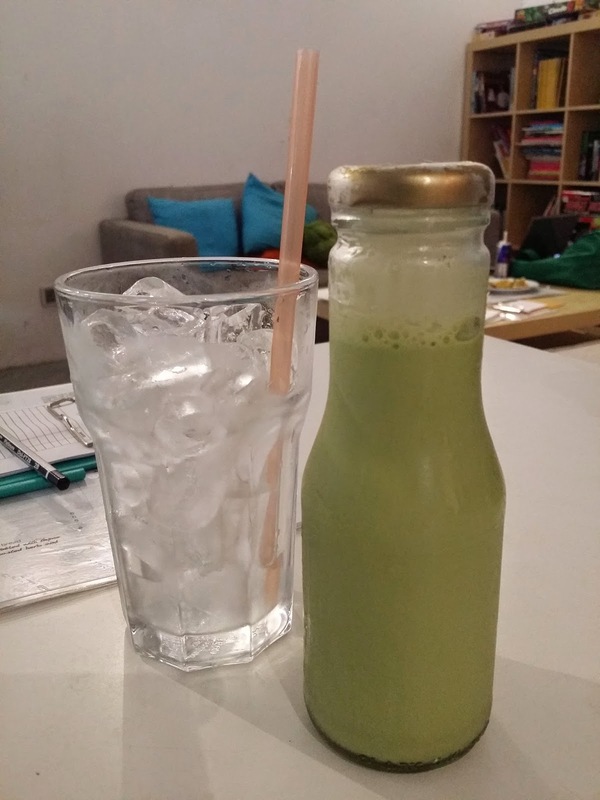 On th left is Green Tea Latte which costs RM10. Looks gross, I know but it tastes so good. Milky yet you'll be able to taste the green tea as well. On the right is their famous chicken ham sandwich priced at RM11. Perfect to have if you want something not so heavy. 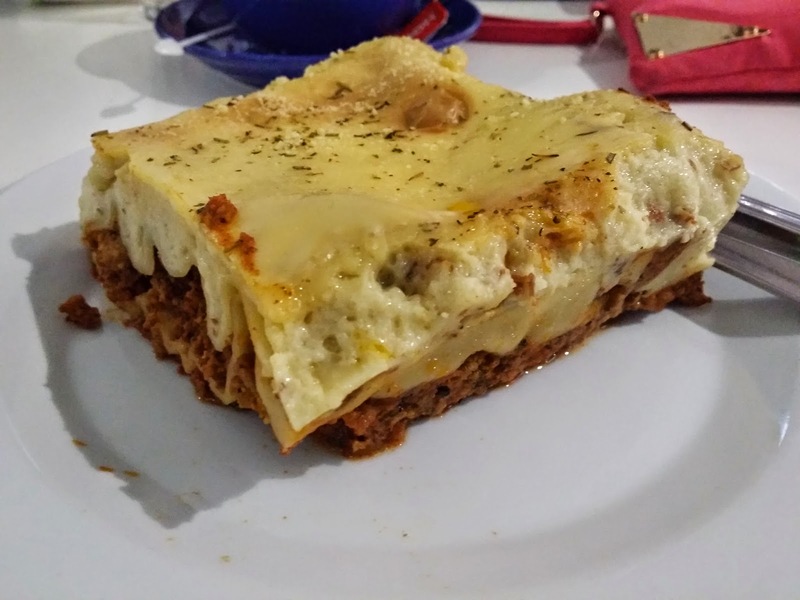 Why not go for their spaghetti or lasagne if you're thinking of filling your hungry tummy! 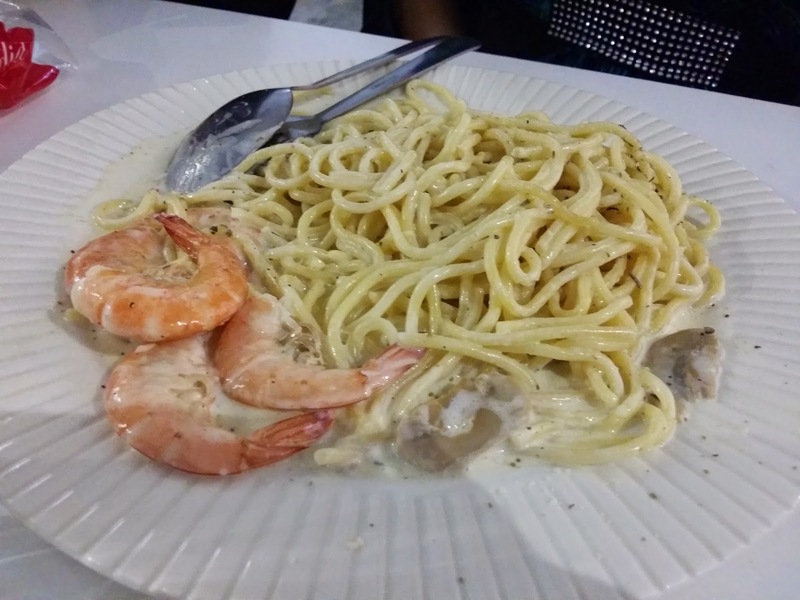 We ordered one plate of Seafood Spaghetti Carbonara which was only RM12 and A beef Lasagne for RM 12 as well! See I told you the prices are reasonable. I prefer the Lasagne to the Spaghetti only because the lasagne was so cheesy! Oh ! Now would you look at that, dessert time! " Life is too short, have your dessert first " Foodsbury serves different varieties of desserts too. From Pretzels to Pies to Nutella pancakes and to their oh-so-famous Mille Crepe Cakes! 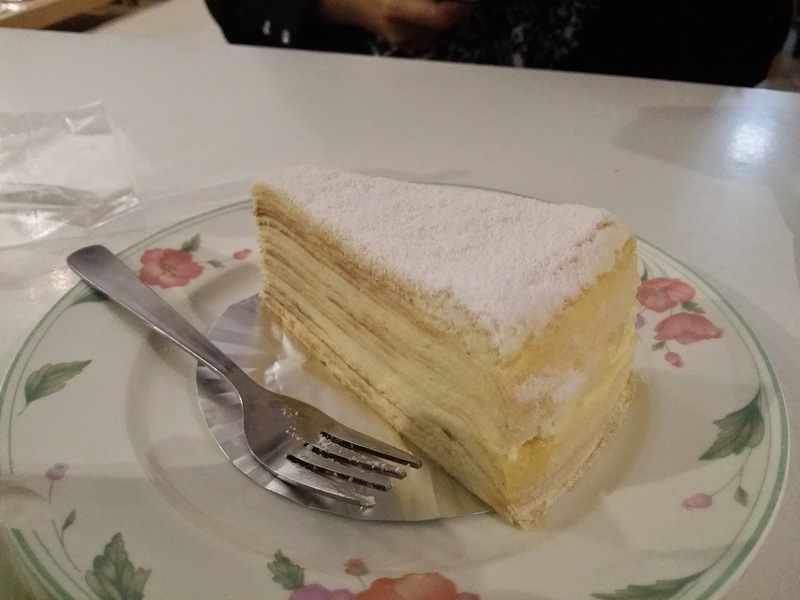 They say the crepe cakes here are delicious. & I proved it right. It is sweet and light and it makes you wanna have more! This is the Mille-Crepe Vanilla which is RM12 but the more popular one would be the Mille-Crepe Almond Salted Caramel, RM12 too! I'm definitely trying it next time around! What I really love bout this place is that the concept of it is very fresh. Simple, cosy , comfortable and it just leave you feeling all relaxed. 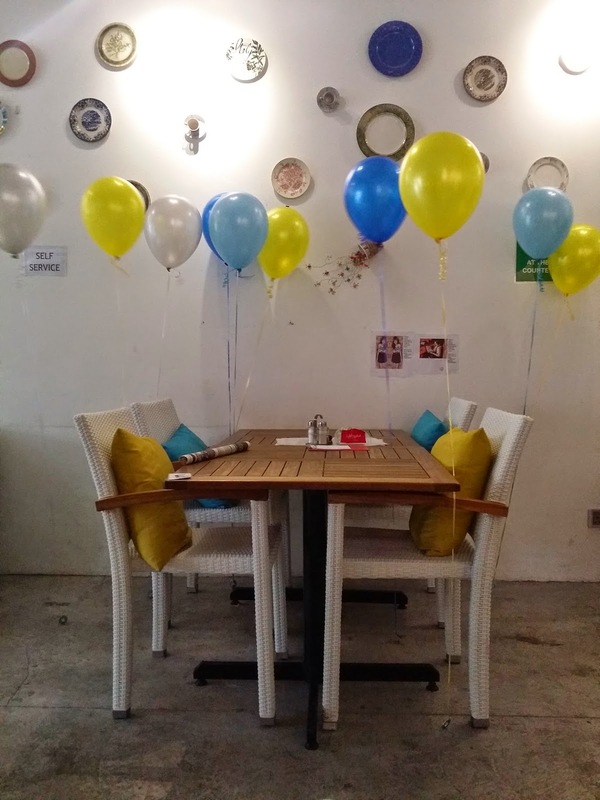 While I was there, Foodsbury crew was preparing for a little birthday get together for their guests. Forget fancy restaurants, this is a perfect place to celebrate your birthday! How can you say NO to this! I could lay here all there if it opens 24 hours a day! Do you believe me now? Look at the shelve filled with books, and there's board games on the top of it. Its also a great place to finish your pending blog posts too! 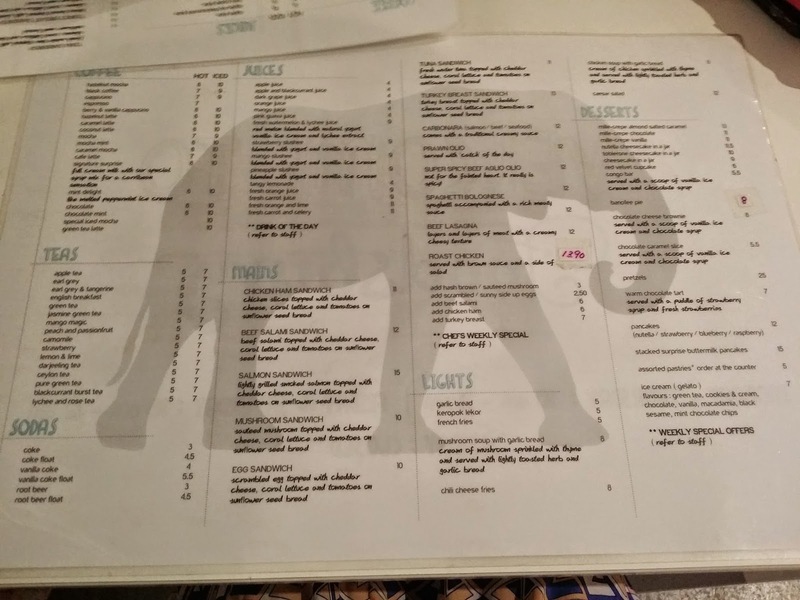 All in all, I would say that this place is a must try! I would come back here any day! 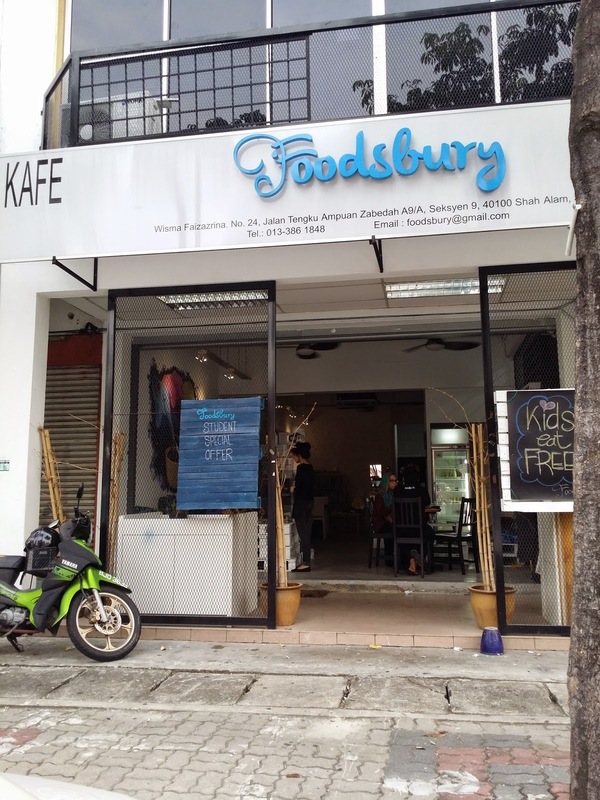 Compared to my previous cafe hopping stop, I think Foodsbury definitely moves up to my top 10 list of cafes that I love! SO beautiful people, don't forget to check them out!